Primary responsibility will be managing the background investigation process for potential employees of the Bureau, the Governor’s Office, the Tennessee Lottery Corporation, and the State Office of Homeland Security. This position maintains the workflow log and the hard copy document flow of background investigations. Assists with non-sworn component of background investigations as necessary, including database checks. Serves as the liaison with other state departments holding relevant records. Reviews background investigations to ensure that they are grammatically correct, accurate, complete, internally consistent, and in adherence to unit standards. Prepares hardcopies of completed background investigations and oversees their movement through the approval process to meet assigned deadlines. Serves as the Technical Services Unit liaison and prepares correspondence with external customers. Assists with Uniformed Officer (UO) shift schedules, logs, administrative paperwork, and associated physical security responsibilities. Manages the process for modification of building access (i.e., hard keys, access cards, and key card system). Assists other TSU components with administrative duties as assigned, including statistics and accountability management, grant applications, travel and training paperwork, operational statistics, and budget preparation. Education and Experience: Graduation from an accredited college or university with a bachelor’s degree AND experience equivalent to three years of increasingly responsible full-time professional staff administrative experience. Substitution of Experience for Education: Qualifying full-time increasingly responsible sub professional, paraprofessional, or professional experience may be substituted for the required education, on a year-for-year basis, to a maximum of four years. Substitution of Education for Experience: Additional graduate coursework in public administration, business administration, or other acceptable field may be substituted for the required experience, on a year-for-year basis, to a maximum of two years. OR Two years of increasingly responsible professional administrative services experience with the State of Tennessee. 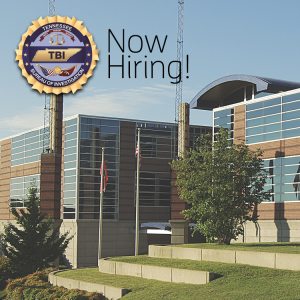 To apply for this position please visit www.tn.gov/hr and Requisition 171198.